News broke while many Minnesotans were watching the Vikings game that Flip Saunders lost his life from Cancer at the age of 60. A huge shock to all Minnesotans. Flip’s impact goes beyond his responsibilities on the team, having the most responsibility of any individual on any NBA franchise being the President of Basketball Operations, head coach, and minority owner. He is a Minnesota faithful. Someone that has been trusted by guys like KG. A man who dedicated his life to the game. Flip is a great example of persistency and hope. Flip, who played college basketball at the University of Minnesota with Kevin McHale & Mychal Thompson, took the long route to an NBA bench. He started his career in the CBA and then finally joined the Wolves in 1995. He led the Wolves to their first playoff birth. Coached the Wolves through the Malik Sealy tragedy and to the Western Conference finals. 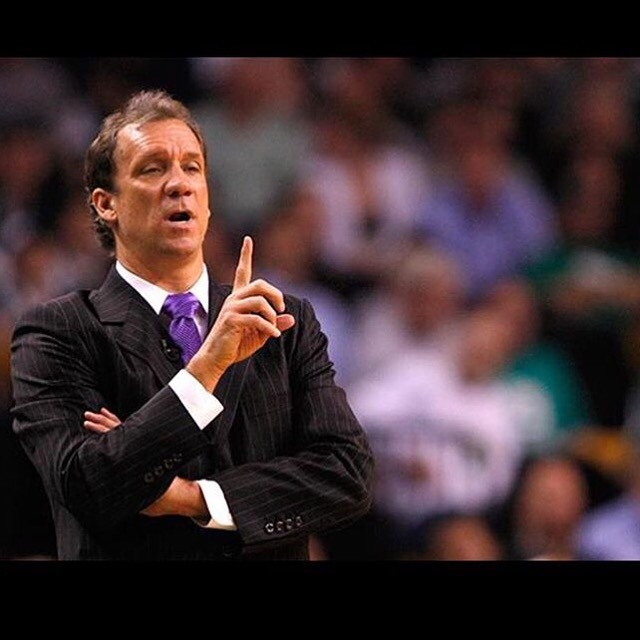 Kevin McHale would fire Flip during the 2005 season and Flip would find a job with the Pistons and Wizards before his return to the Wolves. He led the Pistons to many Conference Finals and responsible for the development of John Wall. Flip had success with the other NBA teams, but it was clear Minnesota held a special place in his heart. When Flip returned to the Wolves, it wasn’t clear in what capacity. Many thought he would be just the owner. He would become President of Basketball Operations and then after a failure in the search for a head coach, Flip hired himself. Flip would turn an unhappy Kevin Love into Andrew Wiggins, orchestrate the return of Kevin Garnett, and draft Karl-Anthony Towns before he would announce that he had cancer. Looking back, the scariest part was the turn of events from planning on coaching this season to Glen Taylor announcing yesterday that Flip would not return this season. Our hearts are heavy and our prayers are with the Saunders family. Flip turned this team around from the franchise around from what inspired the name of this blog as a rebuilding team year after year to one of the most exciting teams in the NBA. The timing couldn’t be worse as the season just starts as this will spark a new and emotional meaning this season for the Wolves.